Nice post! My brain exploded inside of my cranium! 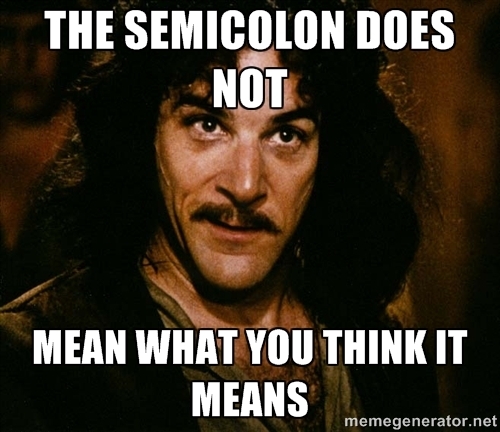 I’ll be honest — I don’t like semicolons because of the way it looks. There. I said it. 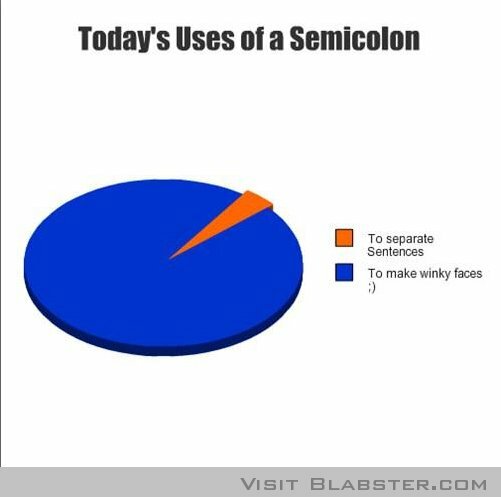 The semicolon is unsymmetrical and it’s an eyesore! Haha — just kidding. Kind of. 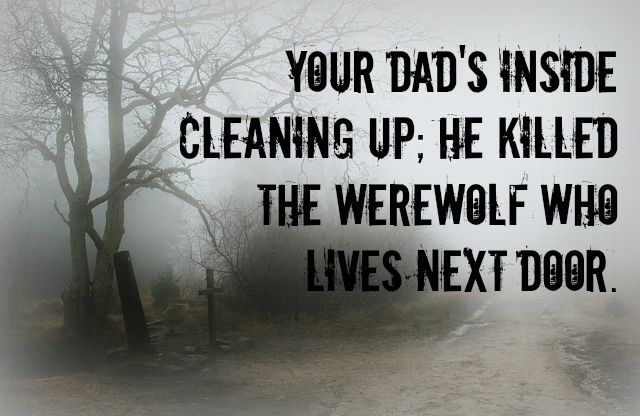 Here’s a serious question: Why not just use a comma? I mean, I sort of understand why, but at the same time…I don’t necessarily see why the comma can’t be used instead of a semicolon. One more serious question: How come the independent clauses have to be related? Why not join two unrelated independent clauses? Would there ever be a reason to do so? 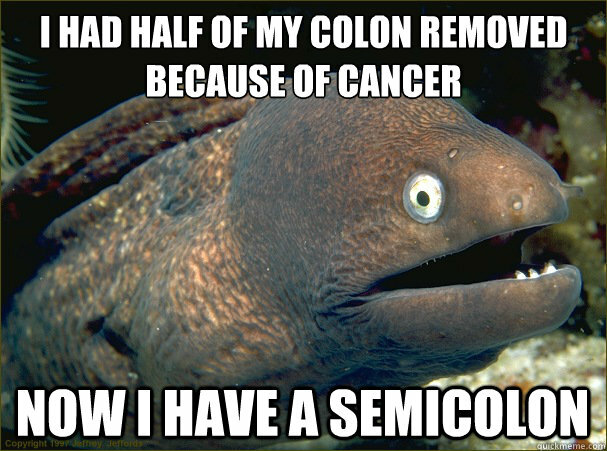 I hope you have enough brain matter left to use the amazing semicolon! 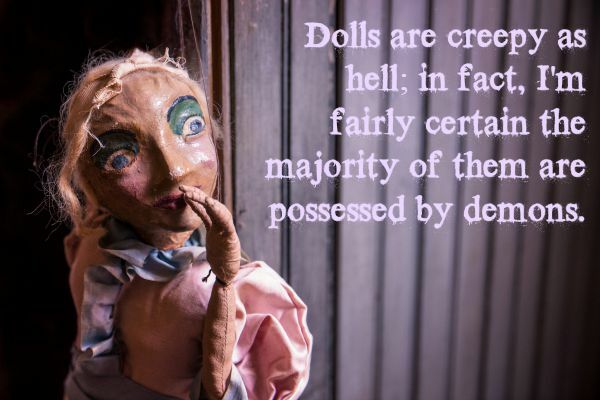 As for your questions…why are grammar rules the way they are, period? The “why” of it all is sometimes vague. I’m sure I could BS some reason, but I’m not sure. I’ll have to look into it. 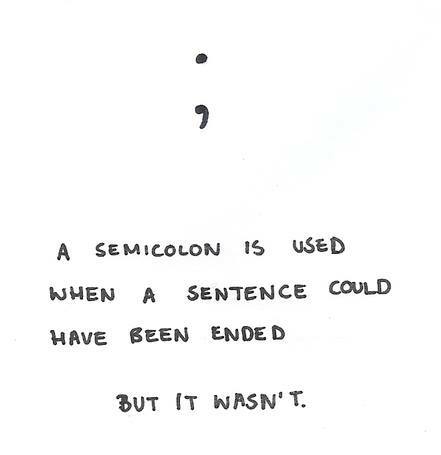 Once upon I time, I used the semicolon, but stopped, because I didn’t fully understand its proper usage. Your post granted me some encouragement and banished a little of my ignorance. I appreciate your honesty! Grammar confuses the hell out of me, so I like asking somewhat moronic questions, to get a little revenge! Haha. I followed a link from Poet Rummager’s site to find out what you were going to say about semicolons. 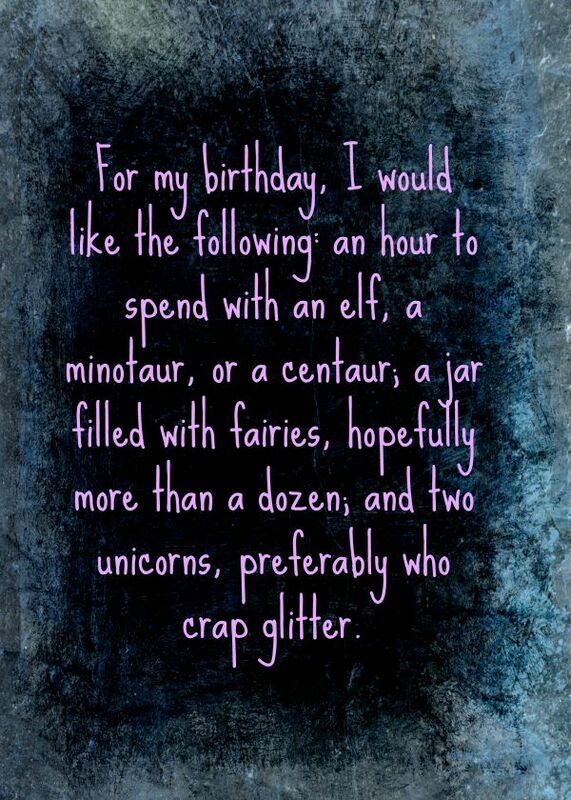 Very informative and entertaining, but I do have a question: where can I get one of those glitter-crapping unicorns? Thank you! Do you have any posts about properly using commas, because I feel like I use them entirely too much, and everything I write is one huge run on sentence, sort of like this. 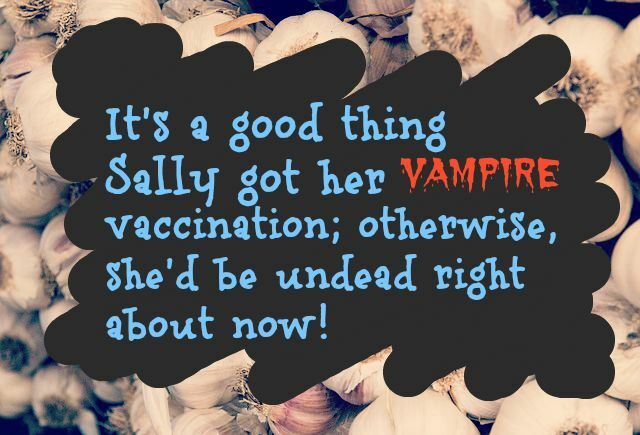 Topics that often seemed deadly dull when I was in school really come alive in your posts and those of Mignon Fogarty [AKA Grammar Girl, on QuickAndDirtyTips.com]. Thank you! I love Grammar Girl. She’s great. Great blog entry, Katrina. I’ll make sure my daughter studies it in detail. Keep up the good work! You’re welcome, Katrina. I am well, helping my daughter with a story containing a word ”jumbotron.” Have a great day!